Last week I was watching the Biggest Loser and Bob did the “Deck of Cards” workout with his team. 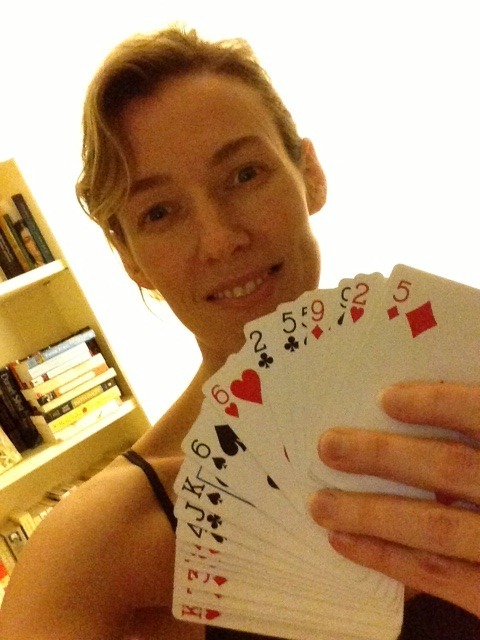 It got me to thinking about the last time I did the deck of cards workout, and I realized it had been over a year! That means it is time for me to get out a deck of cards and get an amazing workout in! My son saw me grab the deck of cards, and he thought we were going to play a card game. I then explained the workout to him, and he wanted to join right in. I cut back the reps he had to do and made his exercises different from mine…after all, he is only 7. So, we had a great workout together, and he had a ball laughing at me moaning about more burpees. I swear my son stacked the deck against me. He drew Aces and Kings back to back for burpees, spiders, and wall squats…I think I shed a tear at one point. The great thing about this workout is that you get to choose 4 exercises, which makes it a perfect at-home workout, and a great workout for beginners (you can choose exercises based on your fitness level). If you don’t want to use any equipment, you can choose exercises that only require you to use your own body weight, and there are quite a bit out there to choose from. 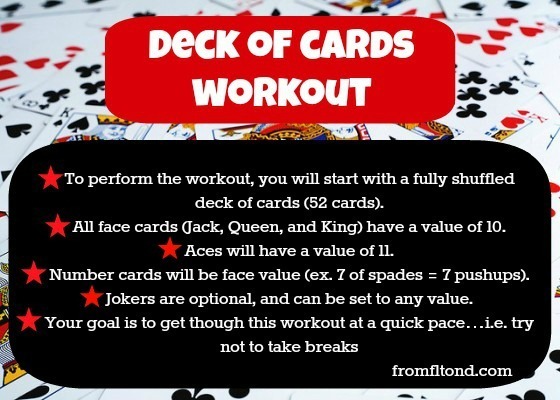 What exercises would you choose for your Deck of Cards Workout? This entry was posted in Workouts and tagged biggest loser, circuit workout, deck of cards workout, full body workout, workout on January 22, 2013 by fromfltond. I saw a girl in the gym yesterday with a deck of cards and now I know what she was doing. I will be trying this workout in the near future. My exercises would be squats, push-ups, deadlift with row, and burpees. This is a great travel workout. Thanks for sharing! Those exercises are great for this workout! It really is a universal workout that you can use anywhere. Enjoy! 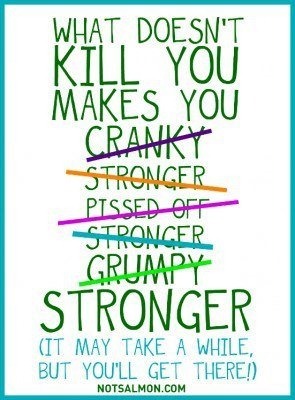 I use this with my clients all the time. They love it, always a new workout and not predictable. I did this with my boys last week using russian twists-squat thrusts-box jumps-push ups. I swiftly exchanged the burpees for something else:) Not my fave! Burpees are fun when you are done doing them. 🙂 I love the exercises you chose too. What a great idea, I’m going to try this one. I’ve been missing the Biggest Loser while on vacation. Time to get back at it, the workouts too! You’ll love it…Well, you’ll love it when your done and all those calories have been burned! The Biggest Loser is the only thing I watch on tv, other than tennis. I love the story and all the progress the people make. 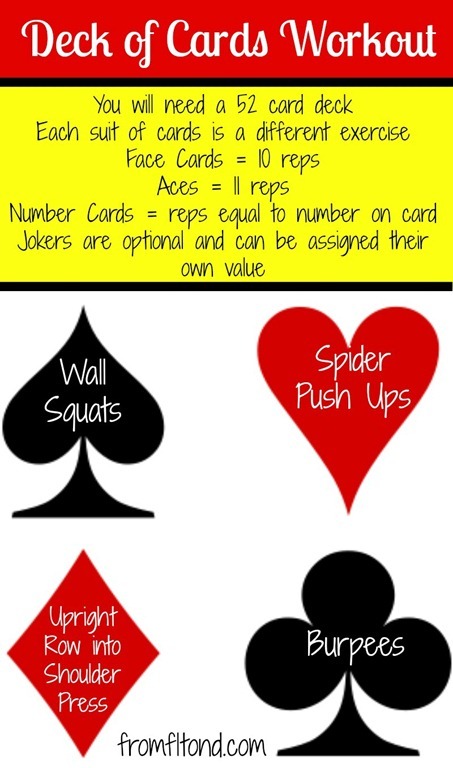 I love the deck of cards workout that Bob did. It makes it fun and mixes things up. It is a lot more fun since you really don’t know what is coming next. There’s an app for that! Try RipDeck, a deck of cards iPhone workout app. Happy RipDecking!